Membership in the Third Rifle Division is open to anybody 18 years of age or older. The overall cost of the kit will be around $300-$400 (sometimes less), depending on how carefully, and where, you shop from. They will be expected to complete their kit within one year, but don’t let that discourage you- we will help you find all you need! Talk to the CO about the best places to buy your gear from. Also- if you want to try reenacting out, we will loan you all the weapons, equipment, and gear you will need for your first event. We realize that some people may be hesitant to throw down $300 to something they may not like! 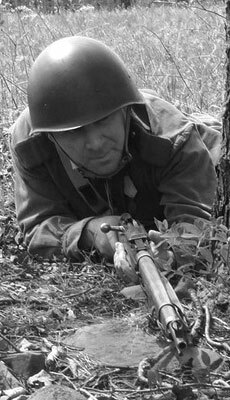 By loaning you all you need, you can try out reenacting with the Third Rifle Division without spending a dime. Disclaimer: The Third Rifle Division is a non-political organization, and does not support or condone extremist views, nor allow such behavior in the group.